This Venice masterpiece in Ft. Lauderdale is set privately on it’s own Bontona peninsula like island.Located in Las Olas Isles this seven bedroom and seven and a half bathroom marvel is planned out over ten thousand six hundred and ten square feet of perfectly appointed living space. The Bontona peninsula offers wide water views of the New River. This estate fulfills every desire for a waterfront home. the beautiful swimming pool overlooks the water. The dock is large enough for a mega yacht. There is a billiards room. A fitness room with a fireplace. A theater room is complete to watch movies in complete privacy. The gourmet kitchen is complete with a full suite of stainless steel appliances and custom cabinetry. The soaring ceiling complete this residence with custom wood work. This home boast six hundred and fifty plus feet of waterfront. 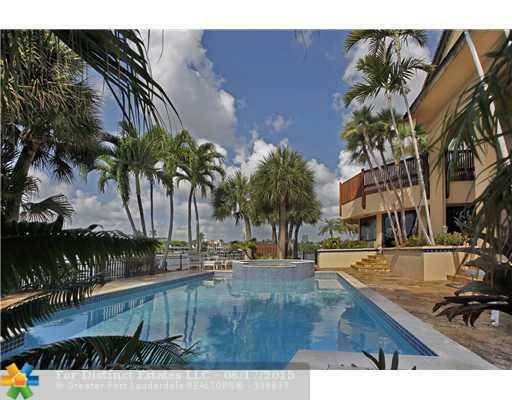 529 Bontona Avenue is located in Fort Lauderdale and is currently asking $10,495,000.00. Residents of Las Olas Isles are in close proximity of world class shopping, dining, and entertainment with just a quick ride to Las Olas. The Fort Lauderdale International Airport is just around the corner.